Gather ’round the table with friends and family this holiday season to create lifelong memories in these stunning Homes of Distinction! Explore this collection of luxury residences, selected from the many we have to offer. Whether you’re looking to curl up in front of a warm, cozy fire or host your extended family for weeks, these amazing estates will capture your imagination. 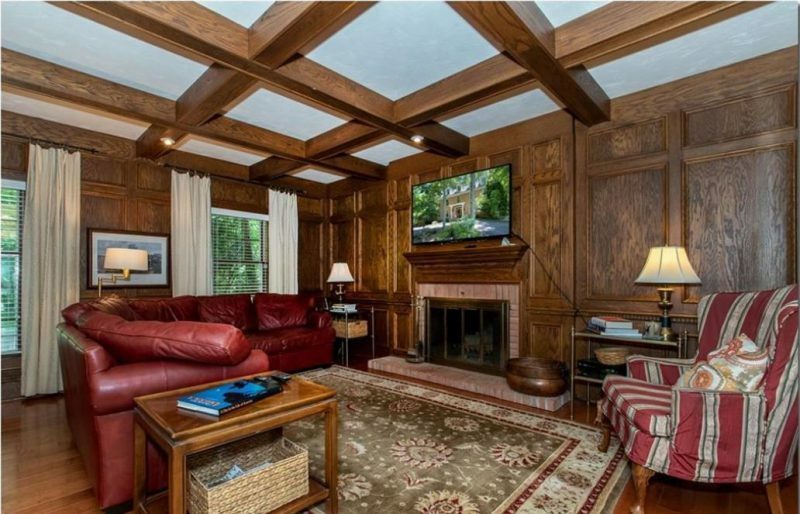 This remarkable home in the heart of Fox Chapel rests on three beautiful acres. Modern updates and premium finishes combine with a French Provincial flair. The gorgeous living room with built-in bookcases will give you the perfect excuse to deck the halls this and every holiday season! You’ll never want to leave this majestic mansion in the Delaware District! Filled with exquisite architectural detail and designed with a fabulous floor plan, this home is perfect for entertaining family and guests. Relax with a hot cocoa in the wood-paneled den and warm yourself by the fire after an evening of caroling! Custom construction and architecture meet the finest quality at Ashford Hall on Killarney! Seated high on a prime golf and water lot, this home overlooks the 8th hole of Blackheath Golf Course. Celebrate the holidays amid gorgeous views as you enjoy the amenities of this gated community. This home has everything you’ll need to create special holiday memories with friends and family. The expansive, flowing floor plan has plenty of character, including exotic hardwood floors, double and triple crown molding, and commercial-grade appliances for when you’re baking Grandma’s family pie recipe! Warm and welcoming, this stunning, custom-designed Longwell home has breathtaking, panoramic views and plenty of privacy. Trim the tree with family and friends in the light-filled living room! Then, prepare a banquet fit for a king in the expansive kitchen with center island and butler’s pantry. You’ll look forward to the holidays! The definition of rustic luxury, this home is nestled on six acres with a private backyard and nature trails! After enjoying the outdoors, relax in front of the gorgeous stone fireplace in the great room or kitchen. The beautiful Douglas fir beam work will be the perfect backdrop for your holiday celebrations! Situated in idyllic Country Brook, this exquisite residence is perfect for holiday entertaining. The gorgeous, updated kitchen with a 9-foot, granite-topped island is open to the two-story great room, which is warmed by a stunning fireplace. A 750-bottle, climatized wine cellar/cigar humidor will wow your guests. Created with renowned architectural vision and the finest materials, this home will make your holiday celebrations truly memorable! Located on the 15th green of Barrington Golf course, the open and airy rooms take full advantage of the gorgeous views. The walk-out lower level holds multiple seating areas, a virtual reality sports room, a fabulous bar, a wine cellar, and much more! This beautifully maintained, custom-built home will impress your holiday guests. Anchoring the home, the fabulous kitchen with granite countertops features double ovens, two dishwashers, a Sub-Zero refrigerator, and a butler’s pantry. After the holiday meal, retire to the family room, where a gorgeous limestone fireplace is flanked by sliding glass doors offering a tranquil view. Gather your friends and family for a charming holiday party in this brick Cape Cod! Welcome guests into the two-story entry, where the turned staircase awaits a festive garland trim. Detailed moldings, a fireplace, and numerous updates make this home the perfect setting for your next celebration! A massive crystal chandelier greets guests in the grand entry hall of this stately home. Prepare your holiday feast in the expansive gourmet kitchen and serve it in the generously proportioned dining room. A fabulous indoor swimming pool provides year-round enjoyment for family and guests alike. Situated on 8.3 acres of riverfront property with 6,000 square feet of living space, this showstopper offers a wraparound porch and multiple decks and patios to enjoy the scenic setting. After preparing the holiday meal in the gourmet kitchen and serving it in the open, airy dining room, you can move the party to the incredible media room to watch the big game! A true showcase, this spectacular, custom-built home provides over 6,500 square feet of quality and elegance. The open-concept main level is ideal for entertaining, with walls of windows to take in the views. A chef’s dream, the gorgeous kitchen offers a Viking gas range and extensive granite countertops, while the banquet-sized dining room is perfect for hosting a holiday feast. Located in the heart of Medina Reserve, this French Country-inspired home has an open concept and breathtaking views. Entertain in the vaulted great room with a see-through fireplace, where a wall of windows overlooks the lake and provides the perfect backdrop for guests as they sip their hot toddies. Craftsmanship and attention to detail are unmatched in this Williamsburg Colonial. Hardwoods, marble, granite and travertine provide a luxurious ambiance, and walls of glass overlook the natural setting. With four stories of finished living space on nine acres bordering the Western Reserve Conservatory, your holidays will be filled with peace and tranquility. An extraordinary custom home on six unbelievable acres, the open floor plan makes it ideal for hosting holiday gatherings with everyone in your life. Views from every window provide pure serenity and an abundance of natural light. Enjoy the snowy tranquility from the shelter of the sunroom, or relax in front of the stone fireplace for a long winter’s nap. If you just can’t get enough luxury in your life, be sure to visit the Homes of Distinction brochure for all the high-end homes you could ever want!